North Port Realtor | See All the Homes for Sale in North Port | Full MLS Access to all Houses for Sale. Looking to find the perfect home in North Port? You have come to the right place! NorthPortHouses.com offers you the ability to search all of the MLS listings. NorthPortHouses.com is the most powerful, and user friendly North Port Home Search in the marketplace. You do not just get our RE/MAX listings, but you get every companies listings from this search...so you can truly see all of the homes for sale in the area. No worry about being pestered by multiple Realtors either, you will get a welcome email from one Realtor in North Port and they can guide you through the process of finding the perfect house for sale to make it your own! North Port is a great city on the Southwest Gulf Coast of Florida. It is situated almost directly between Tampa to the North, and Naples to the South. North Port is a younger city, as far as median age of resident, in comparison to the surrounding cities of Englewood, Port Charlotte & Punta Gorda. North Port has a thriving new shopping area, with new restaurants and stores coming in all the time. North Port is also in close proximity to Port Charlotte's nice shopping area. North Port has a number of golf courses (both public and private), numerous parks, miles of walking and bike trails. As far as neighborhoods go in North Port, you have a wide variety available to choose from. North Port has everything from gated communities with resort-like ammenities, to private acreages. The North Port area real estate housing market is starting to move at a much more rapid pace than in the last couple years. We are seeing quicker turnover, and we are seeing multiple offers on the REO (Real Estate Owned by the bank) homes. Don't miss out on the latest home listings for sale in North Port! We are local Realtors in North Port, FL and can find you the best home for sale on the market at the best price. 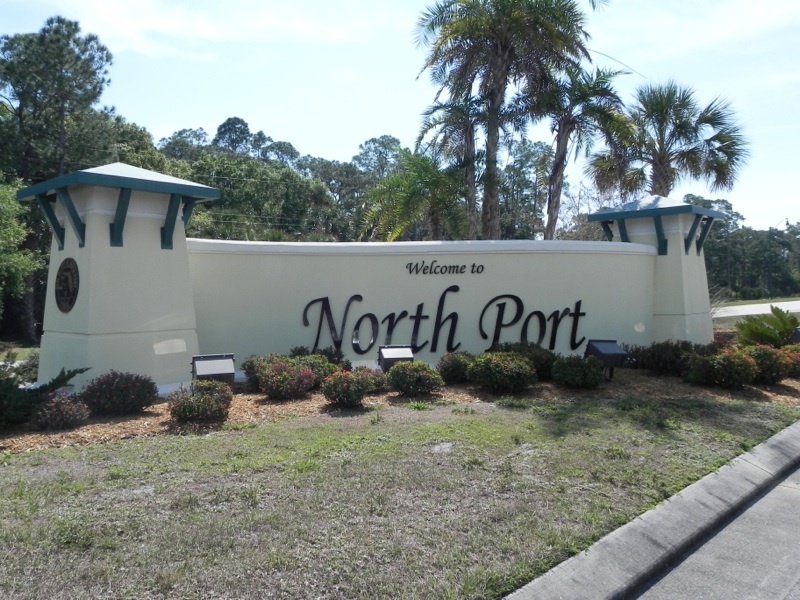 We're pleased to announce a new feature on NorthPortHouses.com: searching for the latest North Port Listings, ones that just came on the market today! Just sign up on this site to access that list, as well as being able to save all your favorites. When you are ready to go out and see the homes in person, just let me know! If you are thinking of selling your home, we are also experiencing low inventory levels. The market has turned, and it is a great time to explore putting your house on the market! Call me for a free look at the trends, and Comparative Market Analysis on your home. Our goal is to offer the most comprehensive search tool for homes for sale in the North Port area, and we believe you'll see that we've delivered on that goal!